Vegan Super Powered Soup, with miso and no chemical additives. 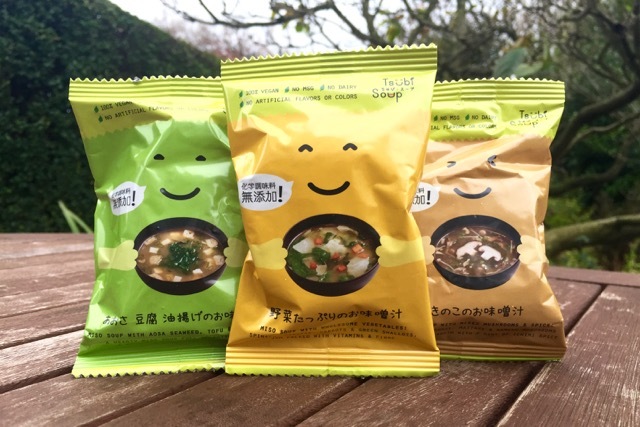 Tsubi Soup was started by Tsubasa Nishitani (Tsubi), who hails from Japan/Australia, after she couldn't find vegan miso soups that were free of MSG and other nasties. Tsubi got in touch with us and offered us some soup for review, and how could we resist?